COMMENT | What will you do if you want to sell your car? Logically, you would place an advertisement in the classifieds or look for a second-hand dealer. In either case, the car would be test-driven and taken for a spin down the road. Whether an offer will be made is entirely the discretion of the buyer. When the terms are agreed, the necessary paperwork would be done. But if you tell me that a potential buyer had used the car for two weeks, after which he returned it the owner, I would be insane or an idiot to believe this. But someone did give this explanation expecting that it would be swallowed hook, line and sinker. At the town hall meeting of the Human Resource Development Fund (HRDF), I raised the question of the agency’s chief executive officer and its directors campaigning for former Human Resources Minister Richard Riot (photo above) in Serian in Sarawak. “We did not use HRDF money for the campaigning,” thundered CM Vigneswaran, HRDF’s CEO. “The (former) minister wanted to buy it and we sent it over. When the BN government lost, we brought it back,” he said. Do you buy this explanation? After having used the car during the campaign period for two weeks, is it acceptable that the potential buyer offered to return the car? 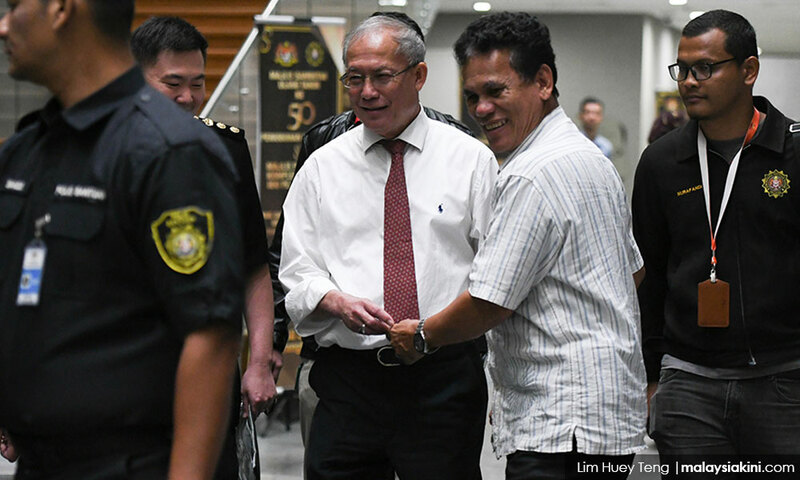 Human Resources Minister M Kulasegaran and the ministry’s secretary-general Dr Mohd Gazali Abas could only look at each other in disgust and anger, and perhaps astonished by the reply given.